Happy Sunday, Friends!! 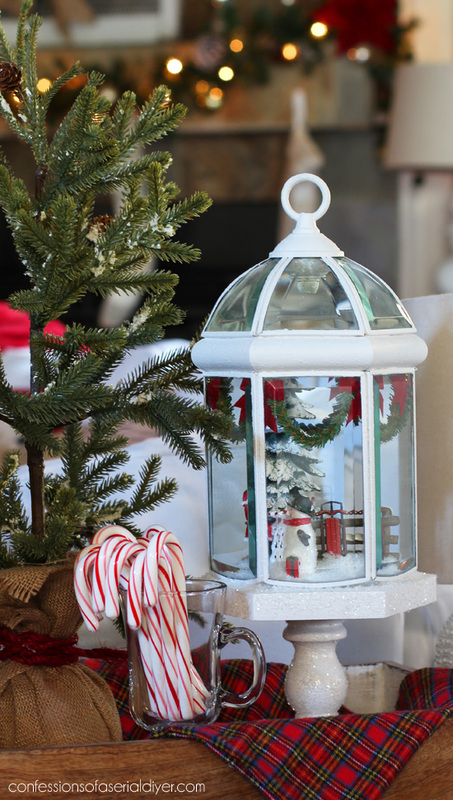 I’m here today with some super talented blogger friends from bHome, sharing inspiring Christmas ideas and décor! 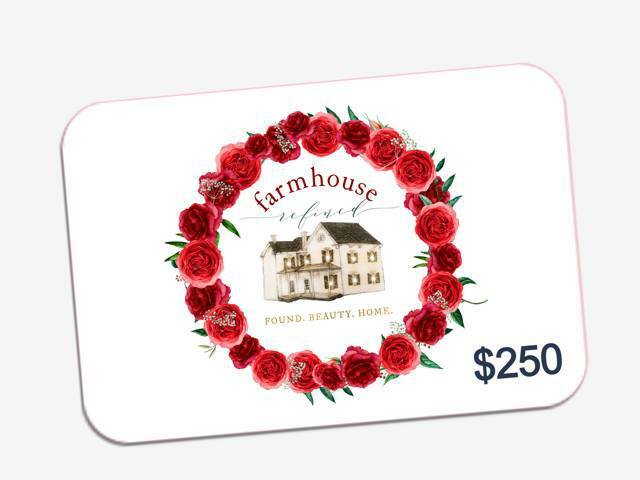 You’ll also have a chance to enter to win a $250 GIVEAWAY via bHome from Farmhouse Refined (seriously beautiful décor). Be sure to look for that awesome giveaway opportunity at the bottom! Anything goes with this tour, so of course I chose to do what I love most, and upcycle something old into a new treasure. It was originally 24.99, but marked down to $14.99, and it was an additional 40% off, so it came in at around $9. 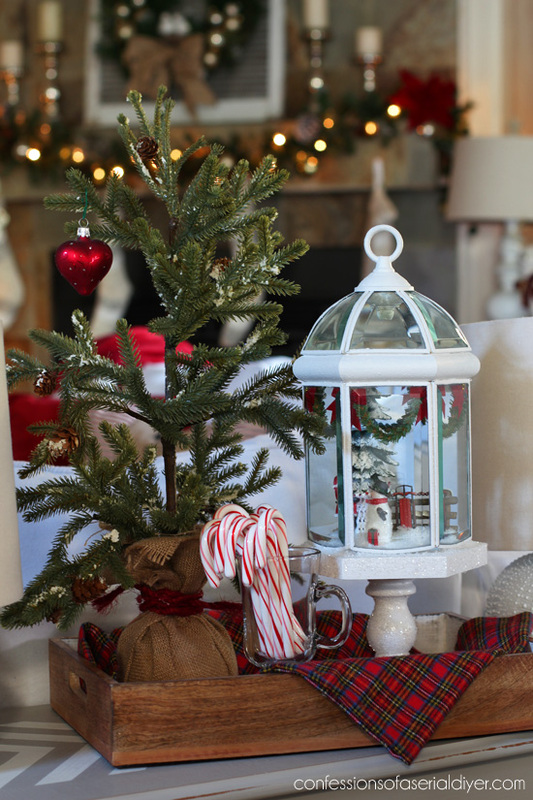 I thought that if I could figure out how to remove the lighting components inside that it would make an awesome globe/cloche for the Holidays. 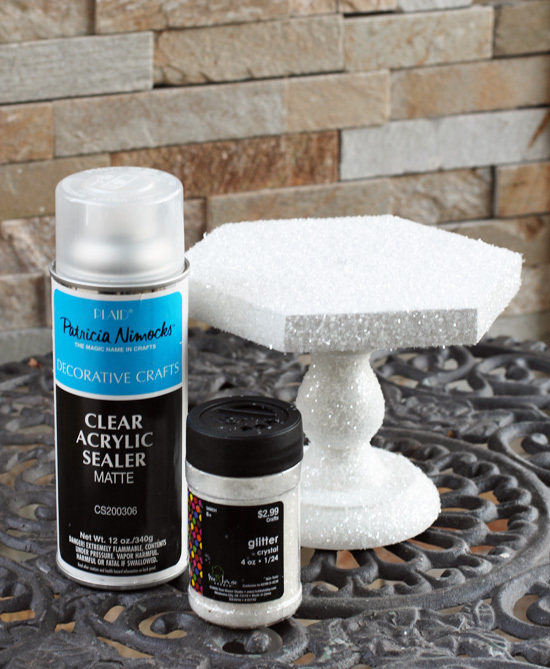 I wanted a glitter that would look white, and I found this one that was perfect at Hobby Lobby. The Santa building a snowman actually came from Walmart this year. The sleds and tree are from Lemax that I’ve had for a few years. I tried a few different displays in here and it was fun seeing the scenes come to life under the glass. I liked the reds and settled on this combination. The garland inside came as a pack of straight pieces. I found those and the bows at Hobby Lobby. 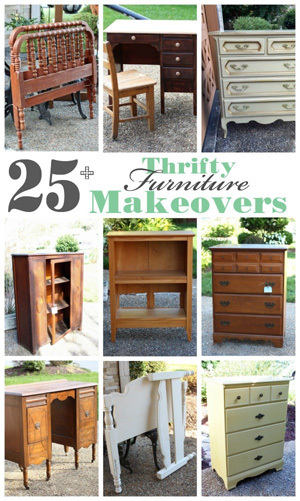 I hope you enjoyed this thrifty Upcycle today! 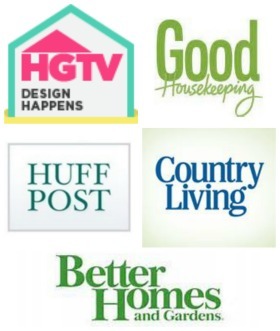 Be sure to visit my friends below for more Holiday fun and inspiration! Simply pop onto bHome and TAP the star for Farmhouse Refined and you will be automatically entered. You’ll also get a message confirming you are entered. Even easier now – only one TAP to enter! Don’t have bHome yet? Download it for free to your phone or ipad and then follow the simple step to enter. Check out what I made HERE. Then I’ll be back on Tuesday sharing what I made out of this…yep that’s duct tape!! 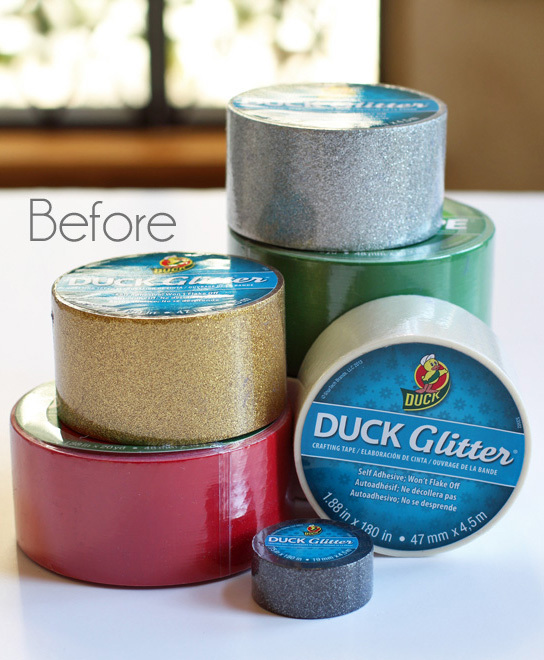 UPDATE: No need to wait…come see what I did with this duct tape HERE now! If that isn’t the cutest thing ever!!!! I absolutely love it!!! Great job!! So so cute,Christy. 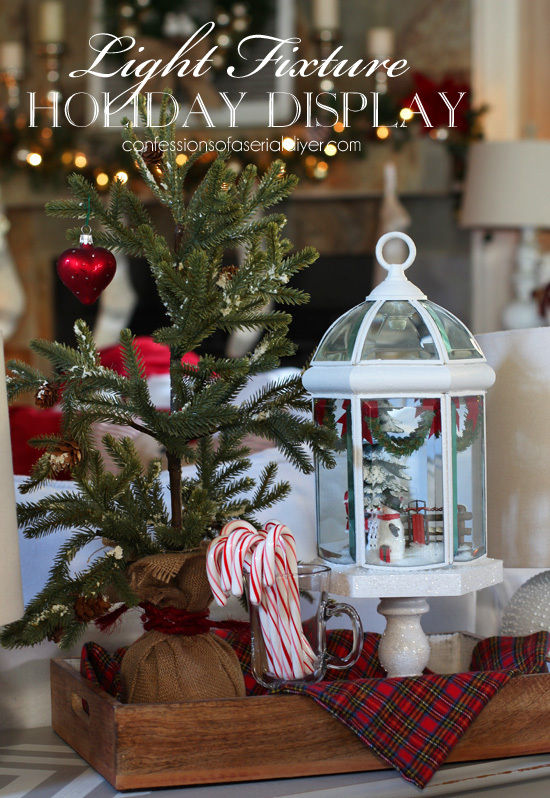 Great makeover with that light fixture and I’m loving the Christmas vignette. 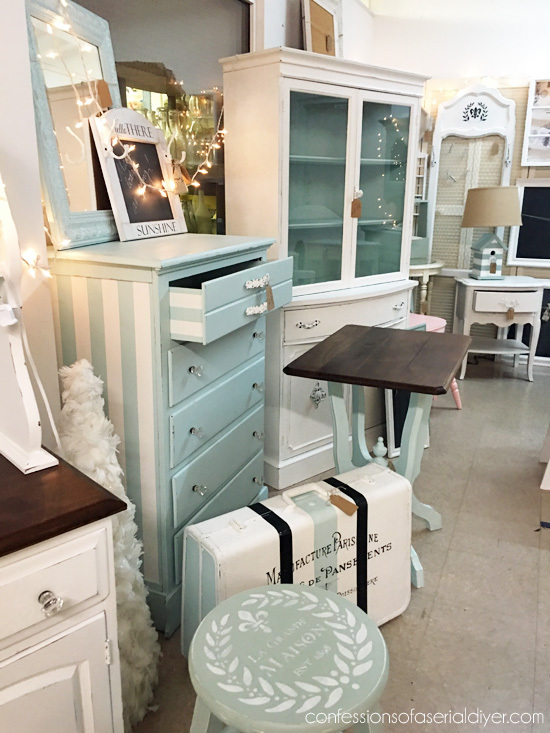 i so love this project Christy!….What a most beautiful transformation and love that you made that beautiful pedestal for it. I am curious to see what you will be doing with the Duck Tape..you always have the most creative projects! I love this – it’s beautiful. 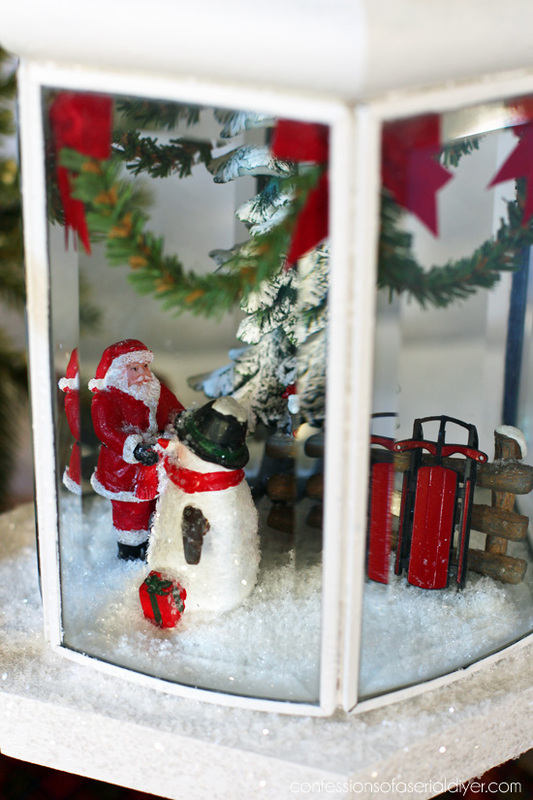 I have a trio of lanterns out all year round, and I just filled them with small ornaments this year. I think I’m going to have to make at least one of them a little scene like yours. I bet I have everything I need. Thanks for sharing. 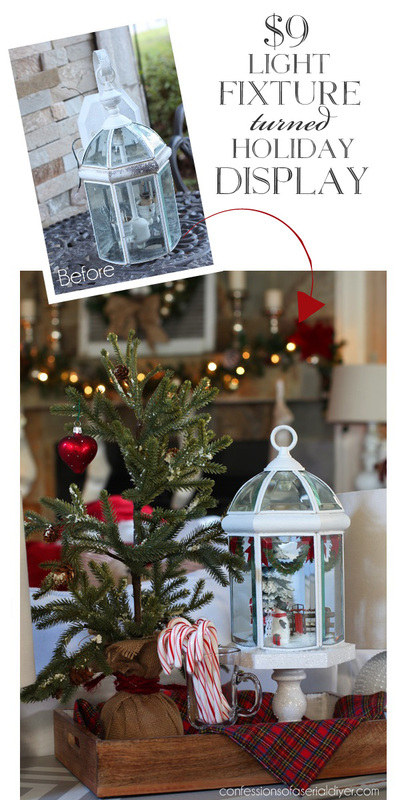 Oh I love this it is so cute….what a great idea! Thanks for all of your great ideas. I generally stay in the background–sort of like a wall flower but know an occasional “you’re awesome!” is nice to hear. So, You, my dear, are awesome! Merry Christmas! Christy, this is awesome! I’m so envious of people who can DIY! Of course I love your styling, as well. Lovely job!! I want to get right inside that lantern and hang with Santa. This is so cute!! That lantern makeover is awesome. Your creativity is amazing! Your posts never fail to wow! 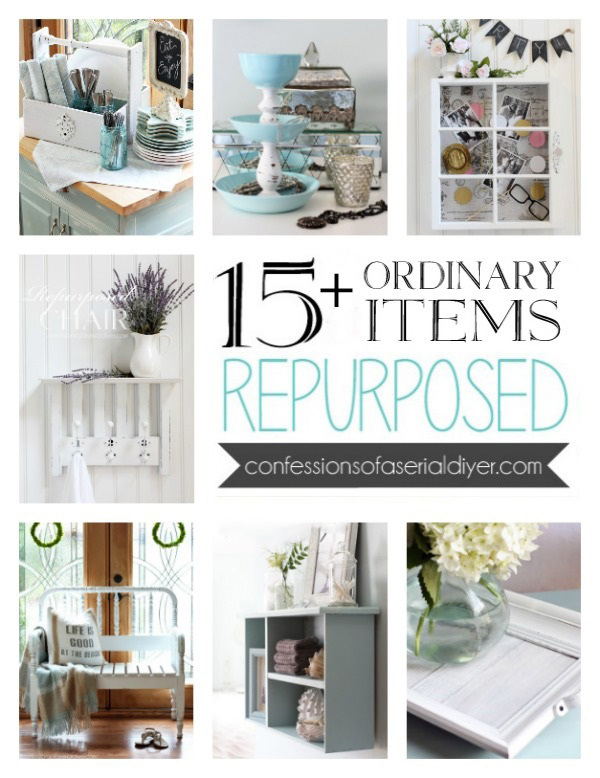 Christy – you repurpose like no other! A visionary mind at work. You slayed me with this Christmas cloche from the crummy old light fixture. 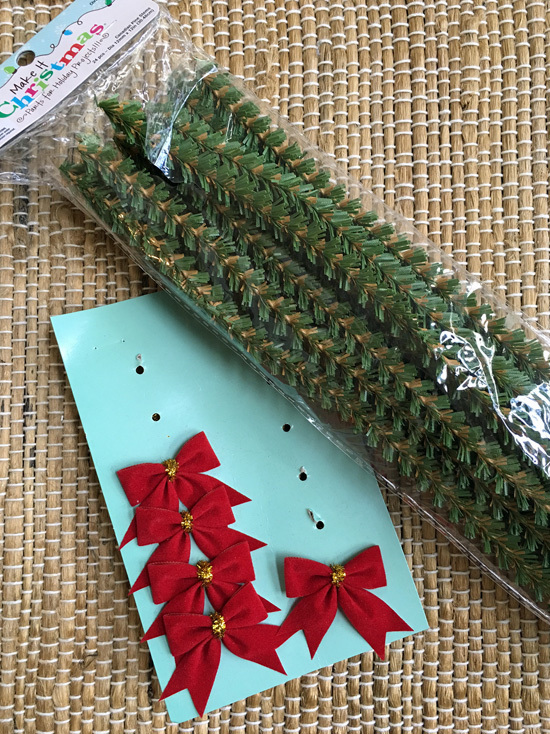 The little garland inside – really too awesome! Sharing! I love everything about this! 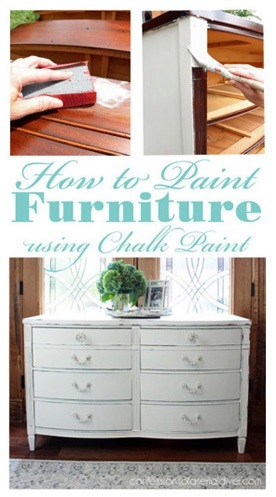 So creative and inspiring (though, I’m anything but a DIY’er!) 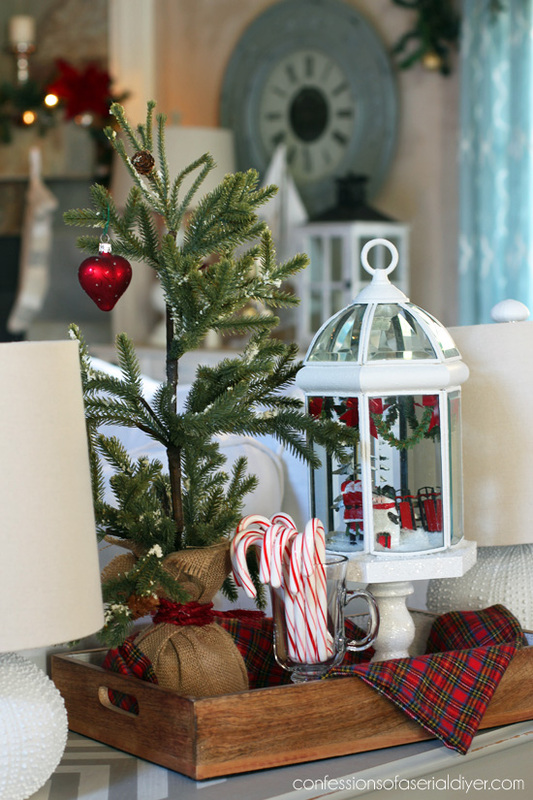 The details inside the light fixture are so cute and the way you displayed it with the plaid and little tree and candy canes look fantastic! Great pics too! Pinned! This is super cute! 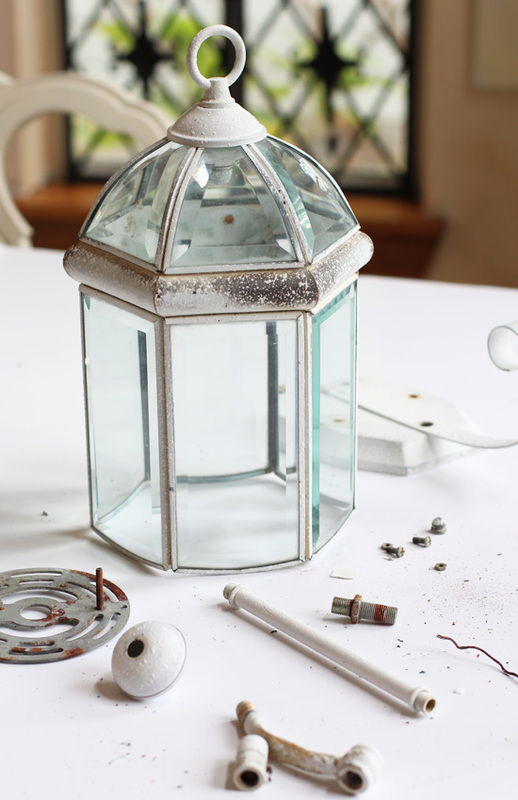 A fun way to reuse an old light fixtures. 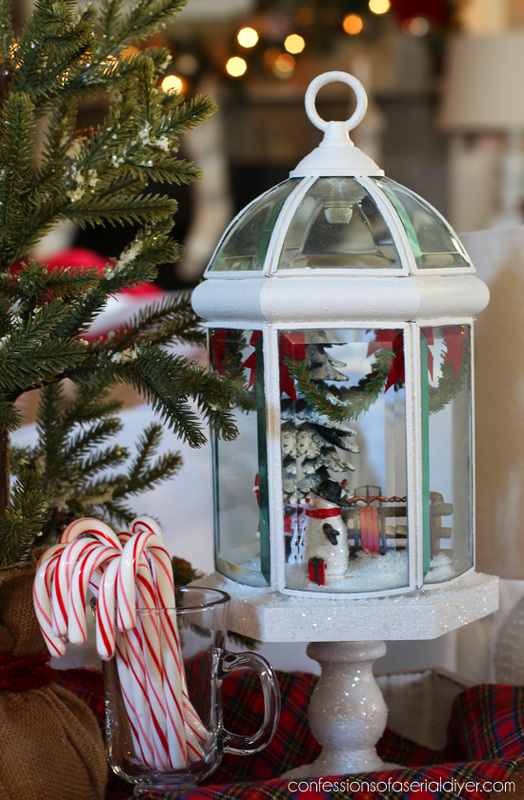 I love how you put it up on a pedestal, and looks so pretty in your vignette. you do the most amazing projects. i would never have thought of this one…ever! Ok, my mind is blown. 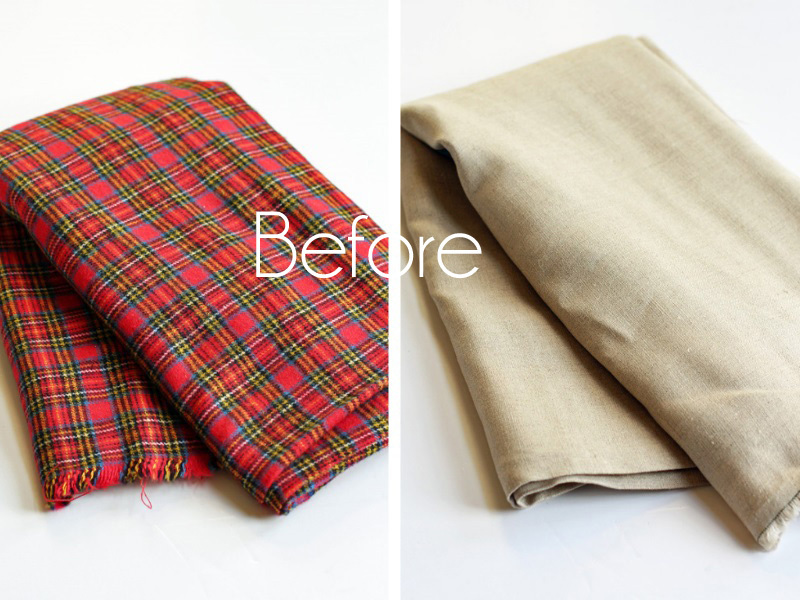 You are the queen of upcycling! This is SO beautiful! I love it! 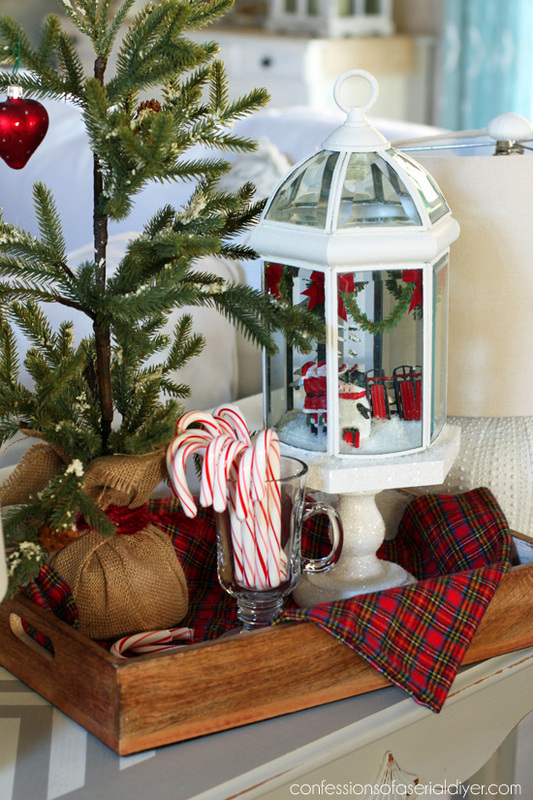 That mini garland adds the perfect finishing touch. I find great stuff at Restore all the time. Of course, I just clean it or paint over it because I don’t have a crazy genius repurposing mind like you do. Fabulous project! This is seriously adorable! 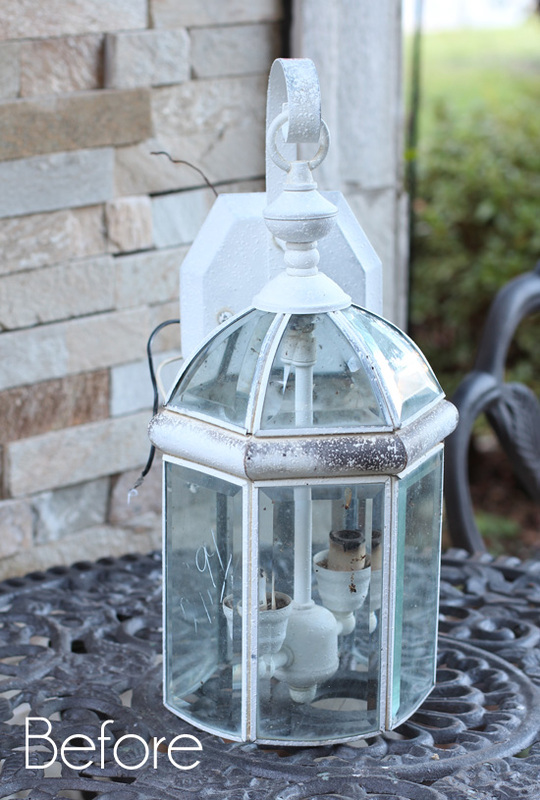 What a fun way to repurpose an old light fixture. 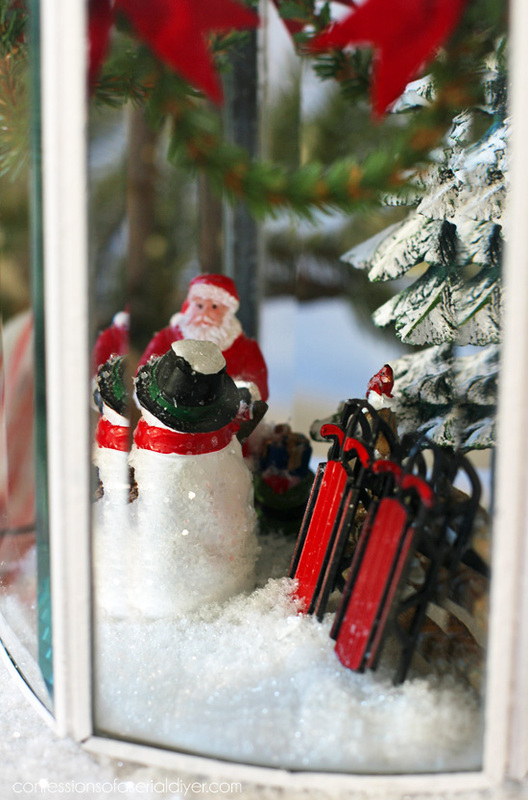 Santa making the snowman diorama was adorable enough but adding the pretty garland around the top – come on girl, talk about attention to detail. 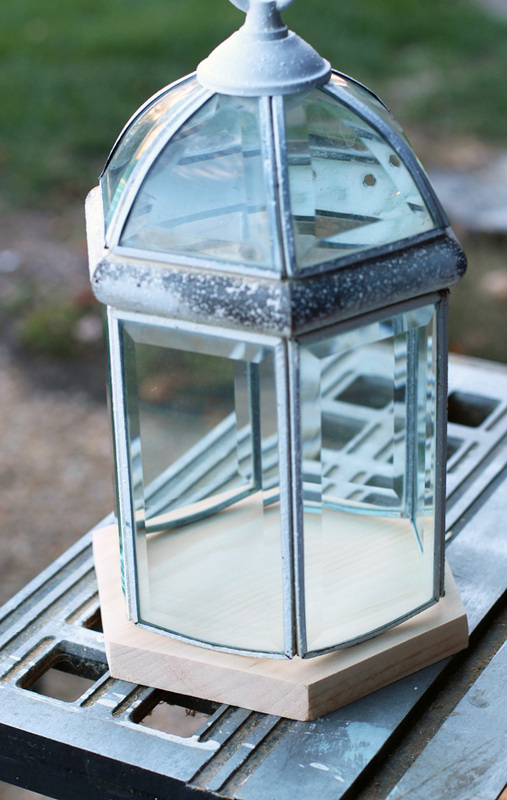 The light fixture turned lantern is genius! I knew you were good but this is epic! Also love that makeup/dressing table with mirror! 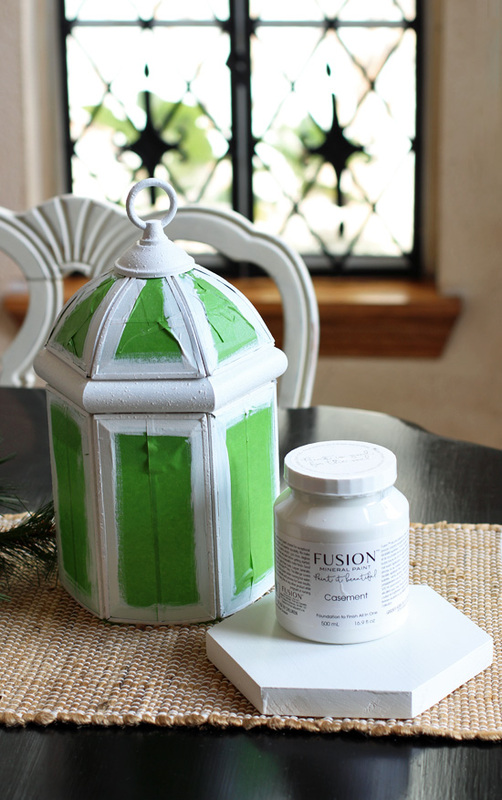 I will be on a new mission making lanterns for gifts and maybe to sell??? Oh my word! This is the greatest idea!! I love the glittered base and the wreaths inside the glass? Perfect! So fun being on this tour with you . Oh Christy, this project is just so adorable. It has the perfect combination of height, texture, shape and purpose… and could be used for so many different festive vignettes. Love it!! Merry Christmas.